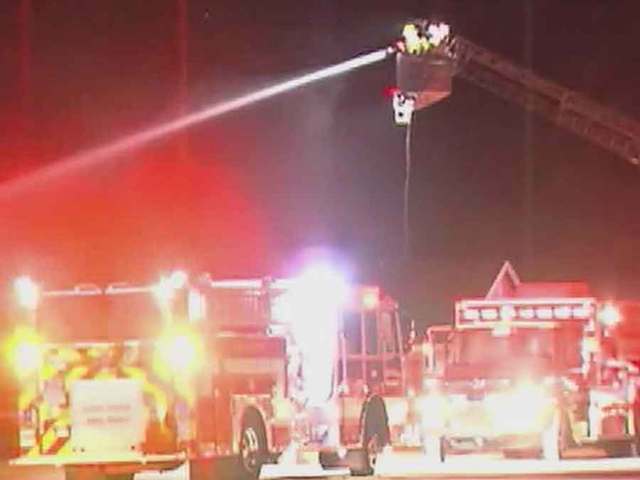 A massive fire erupted overnight at an equestrian center in South Florida, killing several horses and injuring others. 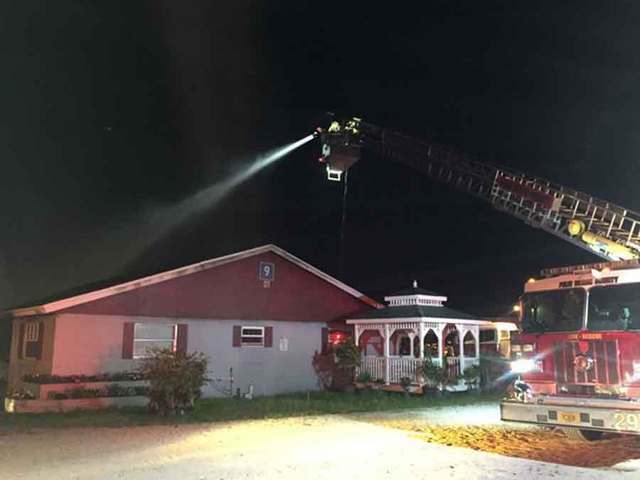 The owner of the South Florida Trotting Center in Lake Worth said at an early-morning news conference that 12 horses are dead, while 11 others were taken to a local animal hospital for smoke inhalation and burns. Two of the injured horses are in critical condition. About 27 horses were inside when the fire started. Firefighters got the call just before midnight to put out a large barn fire. Firefighters said they had two things working against them: a roof collapse and the elements inside that included hay, horse feed and sleeping materials. Horse trainer Roman Lopez, who says he was inside the barn at time of the fire, heard the horses making a commotion. When he entered their stables, he said a plume of smoke came out. Lopez said he tried to save the horses, but for some of them it was too late. Flames quickly took over much of the barn, and smoke made it difficult to breath he says. “A friend of mine came over and tried to open the gates and let them out, but it was just too tough. The roof started to come down, and the horses were just on fire and you just freak out, you don’t know which way to go,” said Lopez. Investigators are still trying to determine the cause of fire. No people were hurt in the fire.